If you assume that the combination of saxophone and piano must sound like jazz, then Duo ST15 will surely surprise you. 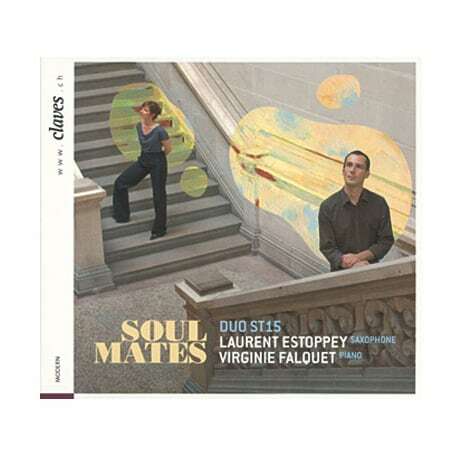 On this 2011 release, saxophonist Laurent Estoppey and pianist Virginie Falquet exhibit a passion for contemporary classical repertoire, including two—Victor Cordero's experimental Soul Mates and Caroline Charrière's whimsical Tranquillo-Agitato—that were written for the duo. The disc is bookended by performances of sunny modernist works: Paule Maurice's 1955 Tableaux de Provence and Darius Milhaud's 1937 Scaramouche.